Will Google Start Giving People Social Media Influencer Scores? 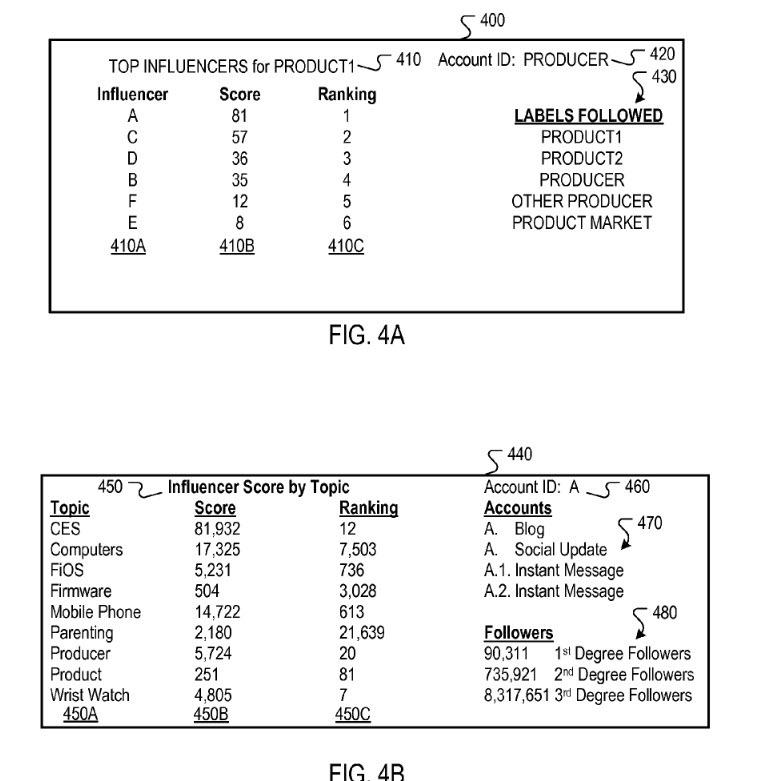 A patent granted to Google this week tells us about social media influencer scores developed at Google that sound very much like the scores at Klout. In the references section of the patent, Klout is referred to a couple of times as well, with a link to the Wikipedia Page about Klout, and the Klout FAQ page. We aren’t given a name for these influencer scores in Google’s patent, but it does talk about topic-based influencer scores and advertisers. Many patents are published that might give the inventors behind those patents a right to the technology described in them, but often the decision to move ahead with the processes described in those patents might be based upon business-based matters, such as whether or not there might be value is pursuing the patent. When I read this patent, I was reminded of an earlier patent from Google from a couple of years ago that described an advertising model that used social media influencers and their interests called Adheat. That patent was AdHeat Advertisement Model for Social Network. A whitepaper that gives us a little more indepth information about that process was AdHeat: An Influence-based Diffusion Model for Propagating Hints to Match Ads. One of the authors/inventors, Edward Chang left Google after the paper came out to join HTC as their Vice President of Research and Innovation. This new patent was originally filed on May 29, 2012. Edward Chang left Google for HTC in July, 2012. I don’t know if those events are related, but the idea of using social media influencers in advertising is an interesting one. The patent doesn’t pinpoint specific social media platforms that would be used the way that Klout does. Interestingly, Klout does use Google+ as one of the social media networks that they use to generate Klout Scores. Author Bill SlawskiPosted on 04/27/2017 08/15/2018 Categories Social Media and Social Search50 Comments on Will Google Start Giving People Social Media Influencer Scores?